The skilled podiatry specialists at Animas Foot & Ankle know that bunions can be painful and make walking difficult. With six locations in Farmington, Las Vegas, Santa Fe, Taos, and Los Alamos, New Mexico, the qualified podiatrists offer a range of effective treatments from bunion bandages and night splints to medications and corrective surgery when necessary. Animas Foot & Ankle are here to help you relieve your bunion pain, improving your foot health. Call your nearest office location or click to book online. A bunion is a bony bump that forms on the bottom of your big toe joint. Your big toe joint can stick out and enlarge over time when your big toe presses against your next toe. The bunion skin might be sore and red, and your foot might appear an unusual shape. A Tailor’s bunion, or bunionette, occurs when your smallest toe (the fifth metatarsal bone) begins to expand outward and develops a bony growth. Bunions occur more commonly in women than men and usually worsen over time. If left untreated, bunions can cause mild to severe pain and inhibit walking. If arthritis affects your toe, your movement might be restricted. In some instances, calluses form around the bunion. The cause of bunions isn’t definitive, but the bony bumps have been associated with foot injuries, medical conditions like arthritis, and congenital deformities. Some bunions can form as a result of prolonged bursitis (inflammation of fluid-filled sacs). Bunions can also form when your body weight falls unevenly on certain tendons and joints in your feet. Other factors that might contribute to the aggravation or development of bunions include improperly fitting shoes and high-heeled shoes. Unless surgically corrected, bunions are permanent. At Animas Foot & Ankle, the early stages of treatment are typically centered around limiting the progression of the bunion, relieving any pressure and pain, and restoring foot function. Bunion surgery is an option in some cases. If other conservative treatments fail to reduce your discomfort, a bunionectomy can be performed. 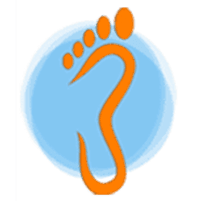 It’s best to visit a bunion specialist at Animas Foot & Ankle if your bunion causes you consistent big toe or foot pain, impacts your walking, makes it difficult to find shoes that fit properly, or if it becomes a visible bump you have concerns about. There are certain steps you can take to prevent bunions, such as obtaining the help of a trained podiatrist at Animas Foot & Ankle and choosing your shoes carefully to ensure they fit properly and comfortably. It’s best to choose shoes with softer soles and wider insteps and steer clear of shoes that are tight-fitting, sharply pointed, or too narrow. Custom orthotics, such as custom shoe inserts can be beneficial for bunions. Your Animas Foot & Ankle specialist can help you to decide the right course of treatment for your bunion. Call the location nearest you or book your consultation online.